Scotsman Alexander E. Simpson began making shaving brushes in Clapham, London in 1919. 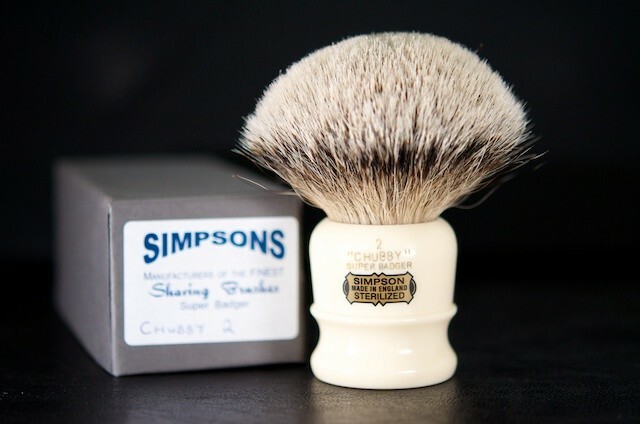 A 1963 issue of the magazine Gentlemen's Quarterly mentioned Ivory-handled Simpson (of London) brushes and the motto "may not need replacing in your lifetime". This commentary stills remains true to this day. Today we are perhaps the only remaining manufacturer of genuinely hand-made shaving brushes within Great Britain and the British Isles.